Second-half goals from defensive midfielder Jake Smith from the penalty spot and Kevin Connelly had the Dumfries outfit in a commanding position before Blackburn loanee striker Scott Wright netted his fourth goal since arriving at Rosewell as he scored a consolation. 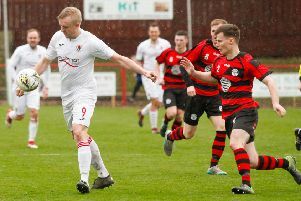 Whitehill haven’t won at Raydale Park in four years though there will be few defeats there which could feel more costly on a weekend that could have significant ramifications for their Lowland League status as second-bottom Dalbeattie Star picked up a shock win against Kelty Hearts. Rangers striker Jermain Defoe was among the crowd in Dumfries, watching his nephew Darnell Ramsay make his debut for Whitehill. 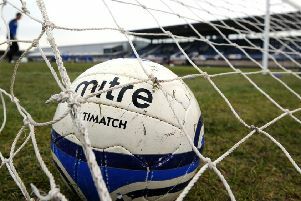 The Midlothian outfit’s fate will be sealed if they fail to beat East Stirlingshire and Star claim maximum points from their encounter with Stirling University this weekend. They are eight points behind the Star having played a game more. Whitehill boss Ian Little admits individual mistakes have cost them as they go into Saturday’s game on a back of a four-match losing run. He said: ““We’ve been playing a lot better recently but just aren’t getting the results. “We’ve got four games left, albeit it’s now outwith our own hands. “The boys were looking to avenge their two defeats at home to Gretna earlier in the season, but once again mistakes have cost us. Whitehill haven’t won in the league since September last year when they defeated Dalbeattie Star 3-0.